The only time I really attempt to make sweet dinner rolls is during the holidays or a special family dinner. Growing up, my Mom and my Aunt Marlene made the most awesome dinner rolls. They were always so tall and flaky and delicious! I remember watching my mom scald the milk on the stove and putting the butter in the hot milk to let it melt and then she would let it get down to a temperature that would not kill the yeast. I also remember watching her put the yeast in warm water with a little sugar to “proof” it. Things have changed since those days. How I make my Sweet Dinner Rolls from scratch! I don’t scald the milk as mom did. I take several shortcuts. The only thing I really don’t skip is proofing the bread dough before shaping the rolls and after shaping the rolls right before baking. I also use my oven to do the proofing. 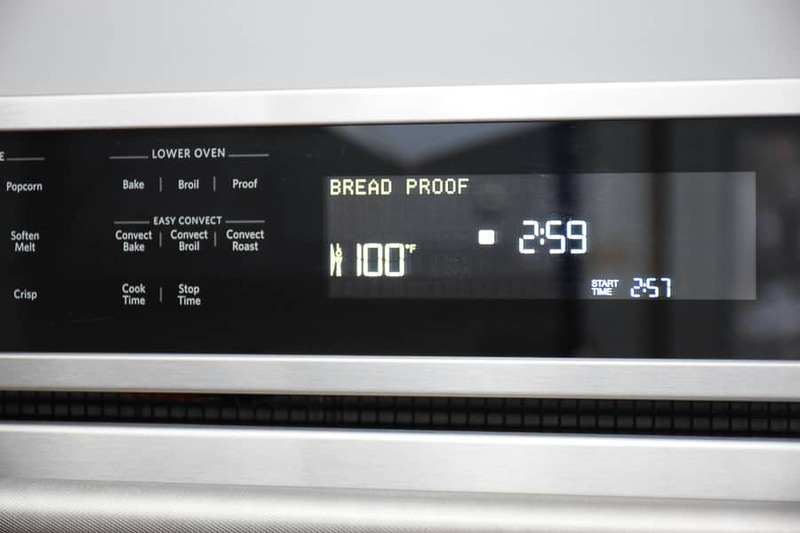 My particular oven has a proof setting. If your’s doesn’t, you can just turn it to the lowest setting you have to do it. One of the things I wanted to attempt to recreate was how tall my Mom and Aunt’s rolls were. 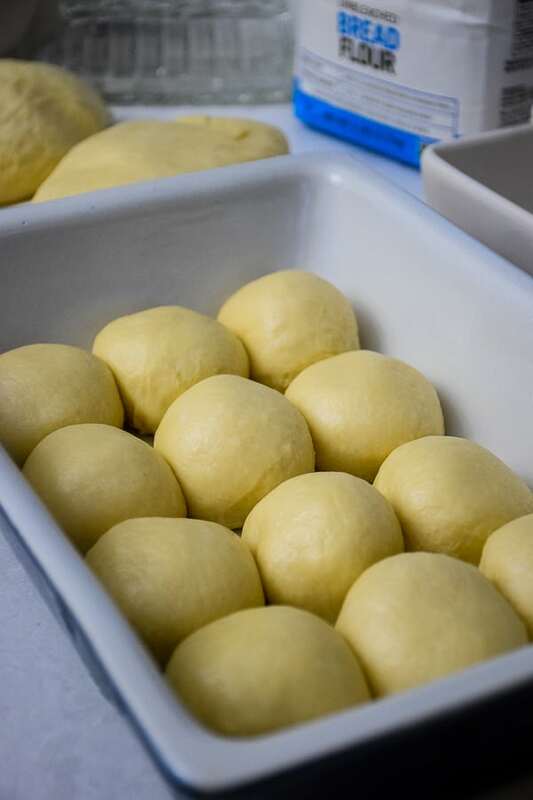 I don’t know if it’s just me, but even though I placed these dough balls closer together, they still weren’t as tall as I remember my Mommas being! Short on time? 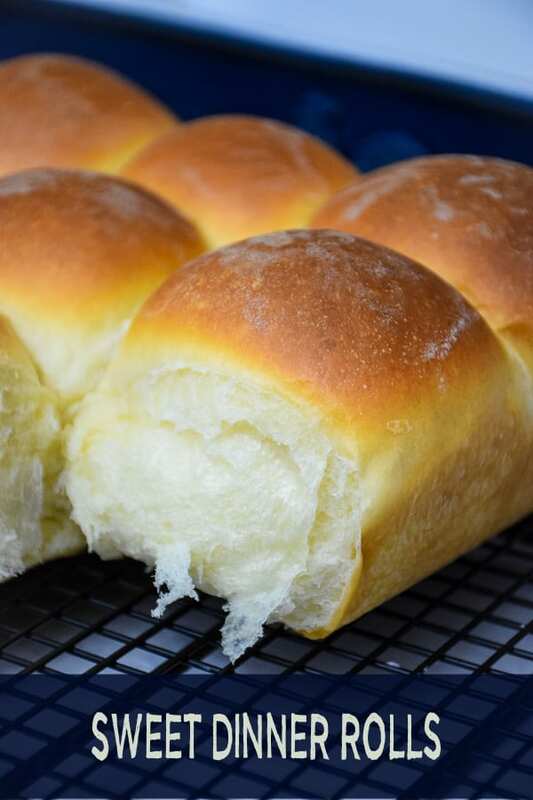 Follow this tip for slowing down the rising your sweet dinner rolls! The last time I made these rolls, I did something a little bit different. 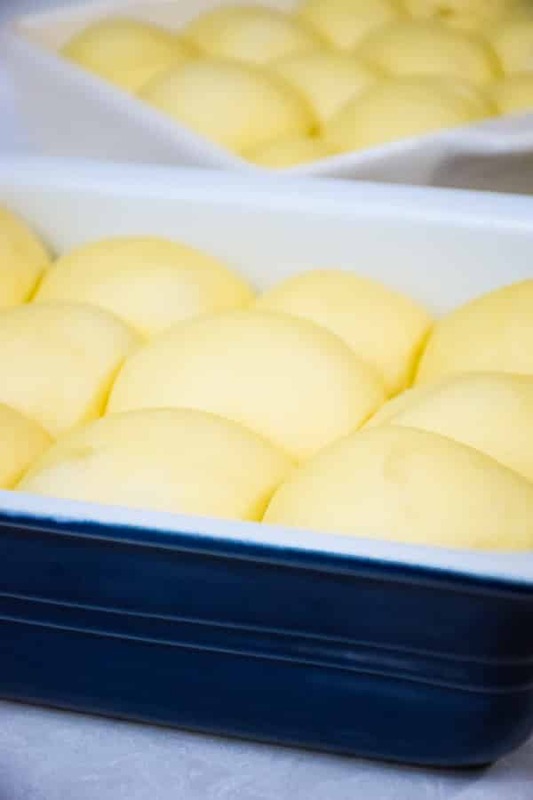 I made them the night before, proofed the dough once, then shaped into rolls and placed in the baking pans, covered with plastic wrap and placed in the refrigerator overnight to slow down the rising process. The next morning I removed them from the refrigerator, covered with a clean towel and placed in my oven to do the second proofing. An hour later they had risen to baking perfection! Just look at the texture of that roll! So flaky and pull apart tender delicious! I’m super proud of myself! These golden, delicious Sweet Dinner Rolls will always be my go-to recipe from this point on and should be yours also! 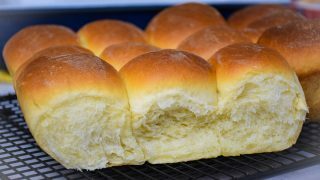 Some tips on making the best Sweet Dinner Rolls! Be patient. Bread making is not something you can rush! Take your time and follow each step carefully! The temperatures of your wet ingredients should never be cold or hot. Always let your eggs and liquid be at room temperature. When melting butter, it should only have begun to “just melt”. If it bubbles, it’s too hot. Let it cool. 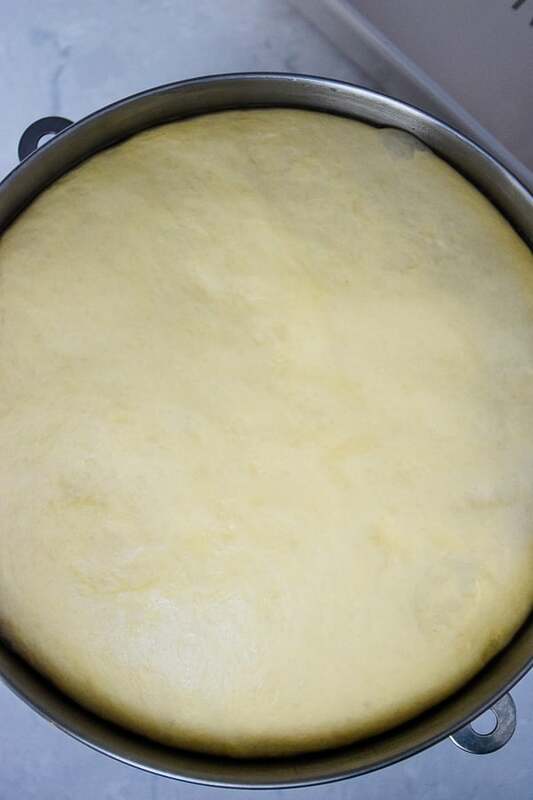 When proofing your dough, use your oven or sit the rolls in a warm place covered with a towel. I have even been known to sit my pan on top of my dryer when it was running! 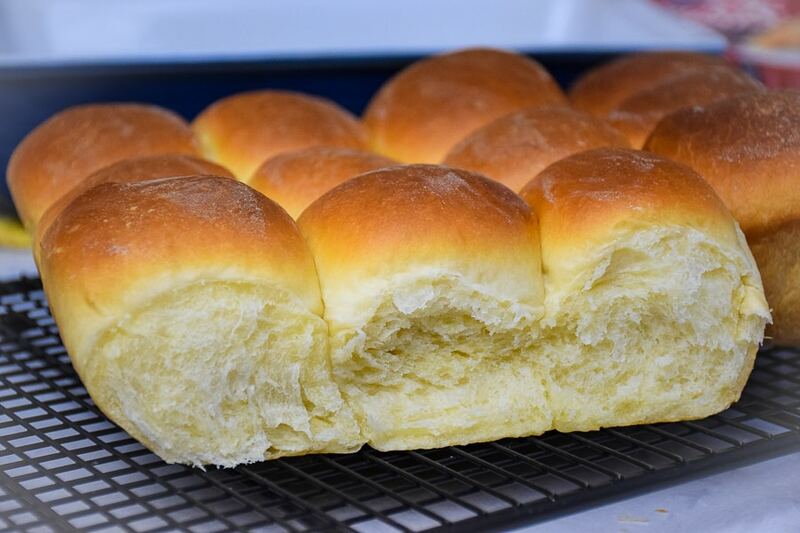 After pulling the rolls out of the oven, rub the tops of the rolls with butter. I probably use less than a tablespoon – but I just unwrap the stick of butter and rub one end over the top. No measuring here. Just rub the top until it’s coated with butter. 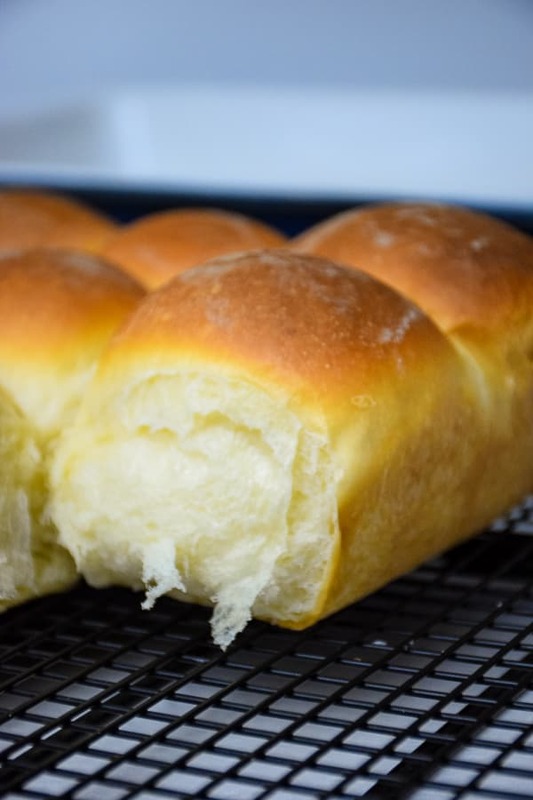 This will give an extra something to your delicious buttery rolls! 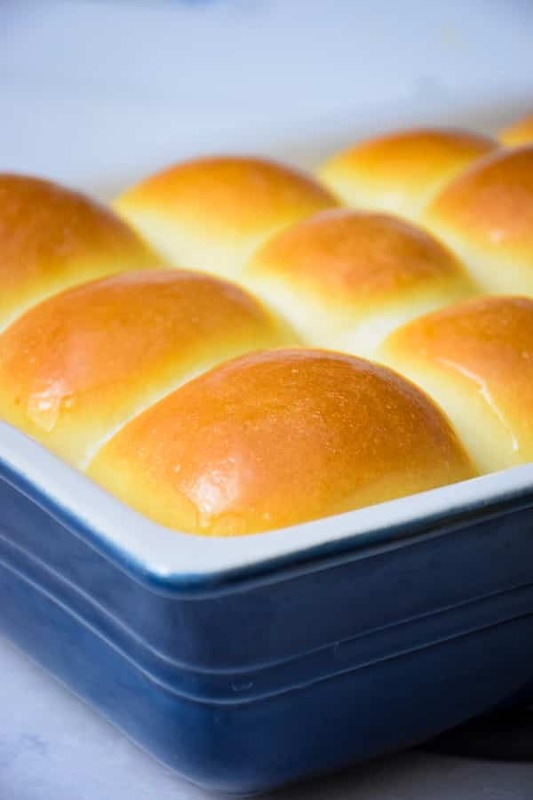 Don’t forget to Pin and Share Sweet Dinner Rolls! You may be interested in some of our other favorite recipes to serve over the holiday season! Water, milk, eggs, sugar, butter, 3-1/2 cups flour, salt, yeast. Stir on low setting until mixture starts to come together. This will be a wet, loose dough. Scrape down the sides of the kitchen aid and stir with dough hook another two minutes. Add remaining flour, 1/2 cup at a time, stirring with the dough hook on low until combined. Turn setting up one more notch and knead the dough for another 3-4 minutes. Dough will pull away from the bowl. Remove from kitchen aid bowl and set dough on counter. Clean bowl and dry well. Pour a small amount of olive oil in bottom of bowl and rub around bottom and sides of bowl (or spray with non-stick cooking spray). 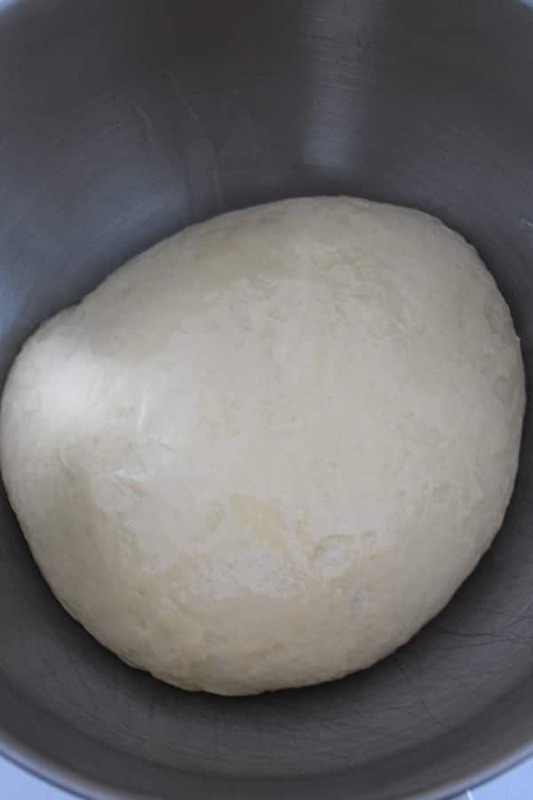 Place dough back into bowl and cover with a towel. Set in a warm spot and let rise until doubled in size. Punch down dough and cut dough in half. Cut each piece in half two more times. This will give you 8 even sections. Cut each of those sections into 4 equal pieces. You should have 24 rolls. Shape roll and place in 1-9x13 pan (18 rolls 3 across and 5 down) and in a 9x5 loaf pan (2 across and 3 down). Let dough rise 1 hour. Bake at 350 for 20-25 minutes or until rolls are golden brown. Remove from oven and immediately brush tops with butter. Serving Suggestion: Use a Bread Basket warmer and Stone to take from oven to table and keep your rolls warm! Store any leftover rolls in an airtight bag. Your rolls look beautiful and I'm sure they tasted wonderful. Can I substitute regular milk for the almond milk?